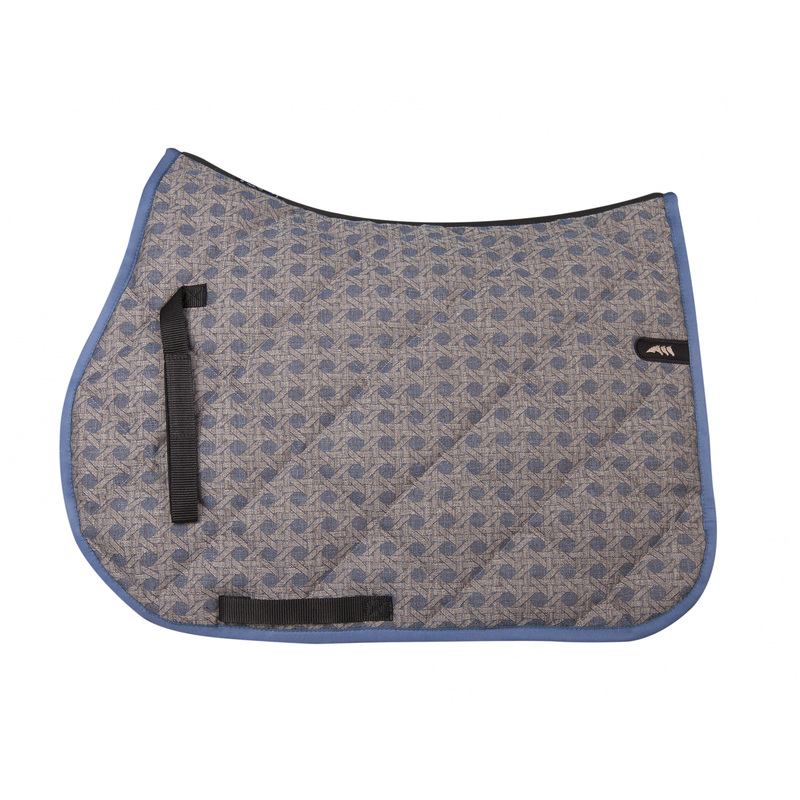 Shelly Rombo saddle pad is an item for people who like alternatives for monochromatic sets. It is stitches with classic quilting and navy blue trimming. 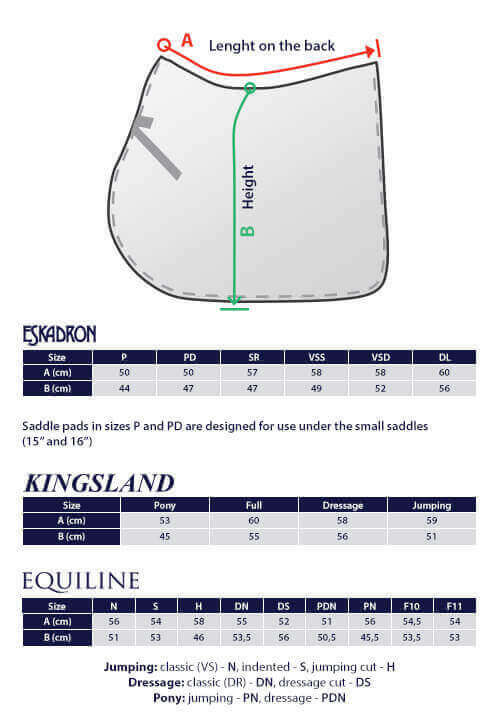 An Equiline logo is placed by the trimming and is not blatantly obvious. 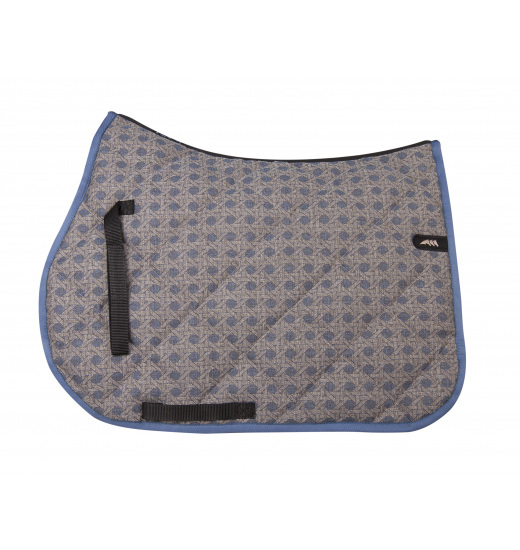 This saddle pad of perfect quality is wholly covered with a print containing an interesting pattern resembling wood.